Elegant Gnome Theme Pack needs no introduction. Like many of you, it is one of my most favorite themes along with Equinox in Ubuntu Maverick. Latest update brings in a lot more finesse to the already beautiful Elegant Gnome theme. What's new in Elegant Gnome Theme Pack 1.0? Fixed the style for the progress bars. Updated metacity themes. Now the buttons got the colors on hover which are: minimize - blue, maximize - green, close - red. Backported the new icons from the AwOken icon theme v 1.4.7. Added menu entry to configure the Cpu Freq Applet theme. 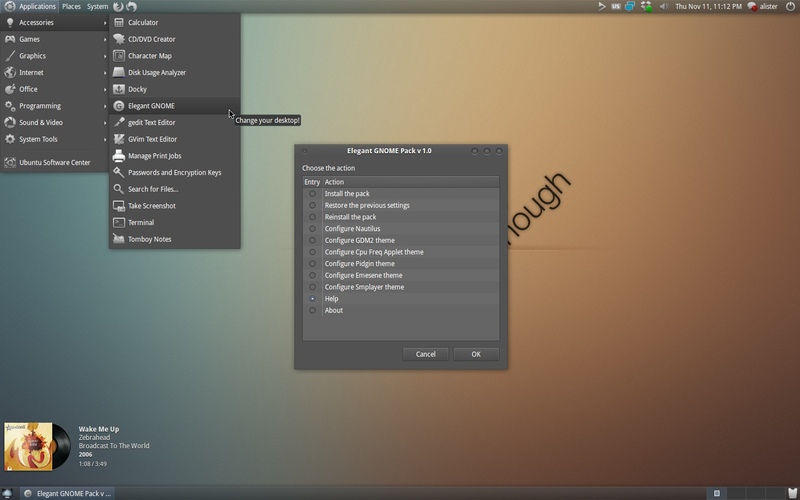 Install Elegant Gnome Theme Pack 1.0 in Ubuntu Maverick, Lucid? Done. Now goto Applications - Accessories - Elegant GNOME and follow the steps. Also, read our more detailed Elegant Gnome Theme Pack Review.